Nick Haydez Halloween Special pres. 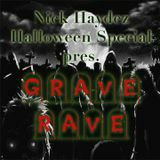 "Grave Rave"
Nick Haydez, an eccentric deejay with wild musical taste buds. 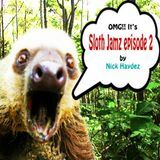 Spawned out of the tropical Malaysia, Nick had the history of playing in bands, entertaining the masses has always been his forte. 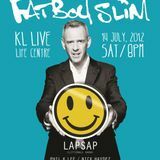 As a DJ, he is versatile and confident, which attracted a wide range of audiences to his shows. He is certain about his musical choices and ability in manipulating them. His signature sets are known to be powerful and energetic, delivered with Nick’s ever entertaining stage presence. 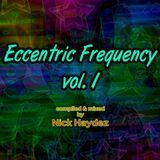 There are no accurate ways to describe the sound of Nick Haydez, as his selection is flexible yet complex. It is heavily influenced by the elements of House, Electro, and Techno. 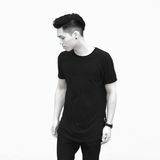 Expect thumping beats, solid bass lines, addictive loops, fat synths, and big sound blasting through the speakers when Nick is on.